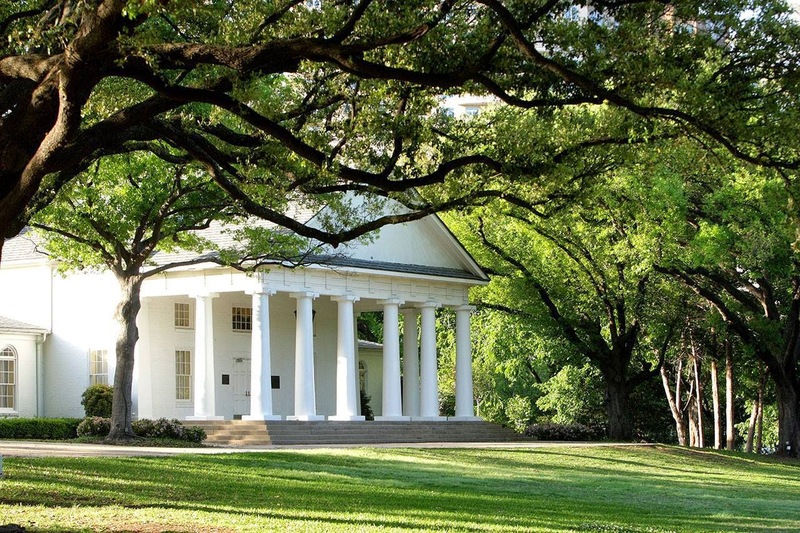 The historic Dallas landmark Arlington Hall will turn 75 this month and Lee Park & Arlington Hall Conservancy (“the Conservancy”) will host several public and private events to honor the iconic Hall in the community. Formally dedicated in 1939, Arlington Hall has been a magnet for cultural and social events over the years. The grounds’ historical and architectural charms have provided friends, families, residents and visitors with countless memories and a space that recognizes the city’s growth and prosperous future but is also reminiscent of one of the most pivotal periods in our nation’s history. Arlington Hall was designed by Dallas architect, Mark Lemmon as a two-thirds scale replica of the Arlington House (formerly Custis-Lee Mansion), Robert E. Lee’s home in Arlington, Virginia, and took more than a year to complete. Through a public-private effort between the City of Dallas and the Conservancy, Arlington Hall underwent a complete rehabilitation and expansion, which was completed in December 2002. One of the most recognizable renovations included the new porte-cochere that Dallas’ own Margaret Hunt Hill donated in 2002. Another film from 1939, “Mr. Smith Goes to Washington” will be shown on the Green Lawn at Lee Park. Attend a luncheon at Arlington Hall, where Gary Scott, Director Emeritus of The National Park Service will discuss the significance of Arlington House, the inspiration for Arlington Hall. The celebration will culminate with an afternoon open house at Arlington Hall complete with docents and other story tellers on hand to tell the history and little-known facts of Arlington Hall and its very beginnings in the city of Dallas. The public is also invited to share memories and photos of Arlington Hall on the Conservancy Facebook page, www.facebook.com/LeeParkDallas, and Instagram @LeeParkandArlingtonHall, using #ArlingtonHall75, to share in the online celebration of 75 years of memories at Arlington Hall. Details of the 75th anniversary events can be found on the Conservancy website at www.leeparkconservancy.org.